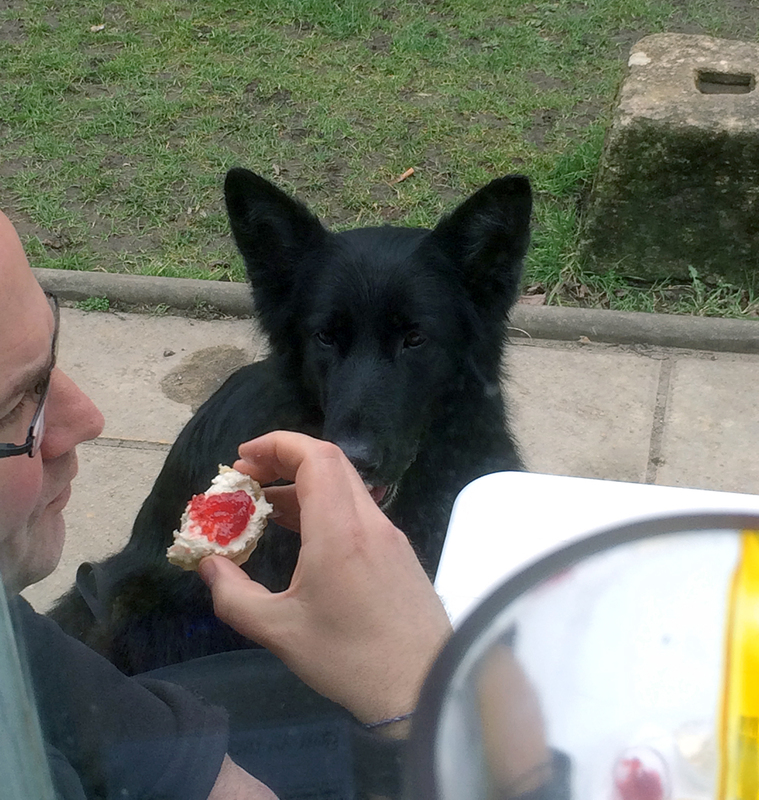 As you can see, the Workshops are dog friendly and the delicious scones are all freshly home made. With Spring well and truly underway, it’s the perfect place to enjoy a cup of tea and a browse around the studios. This entry was tagged dog friendly, home made scones, tithebarn workshops. Bookmark the permalink.